Roasted pork, shrimps, cabbage, sesame oil, white pepper and salt wrapped and fried in egg roll sheets. 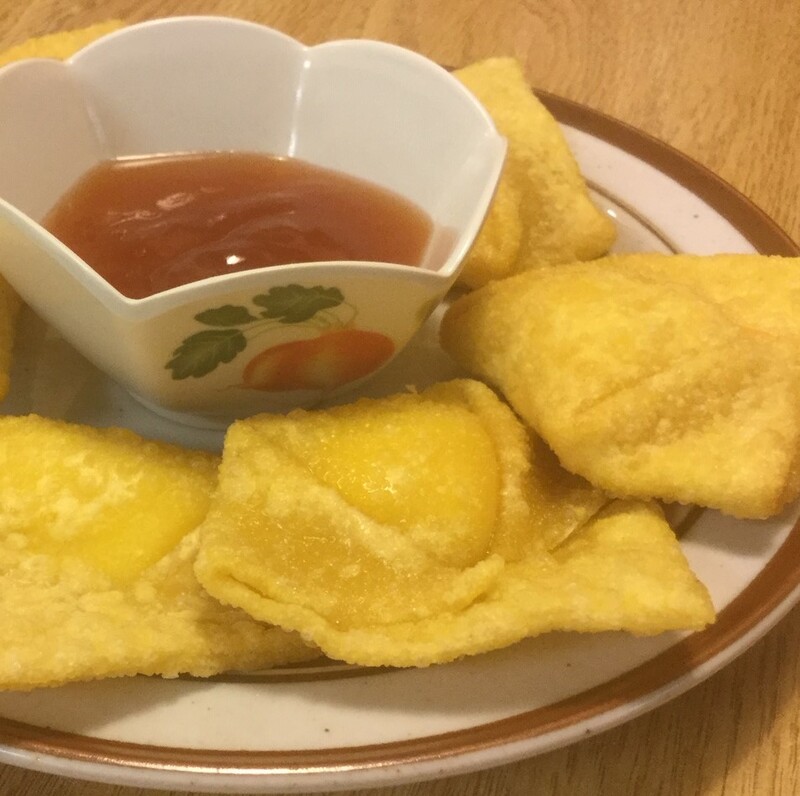 Comes with store-made egg roll dipping sauce. 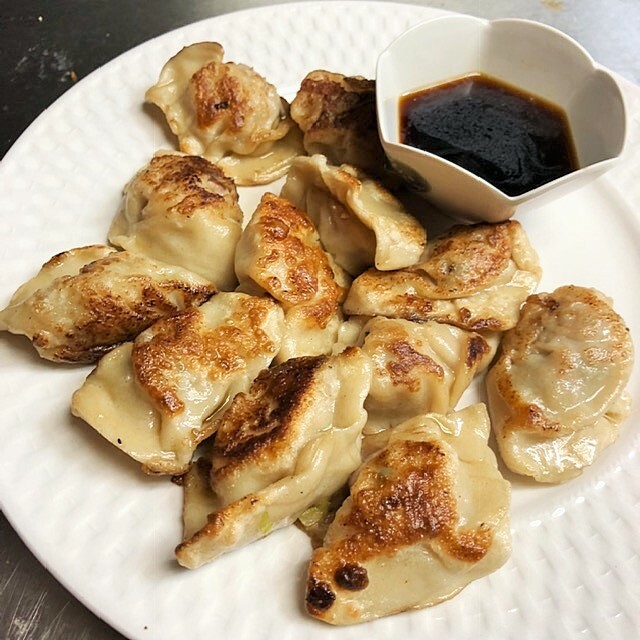 Pan fried USDA ground beef, celery, sesame oil, green onions, ginger, salt and pepper in hand-made wheat dumpling wrappers. Ground pork mixed with cabbage wrapped in wonton skins, then deep-fried to crispy. Come with Chef special dipping sauce. 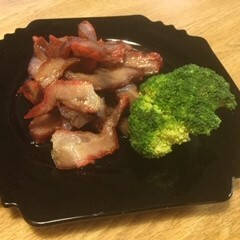 Delicious in house roasted pork with a side of steamed broccoli. (No meat) Mushroom, tofu, egg, vinegar, soy sauce, white pepper and topped with green onions. (Gluten-free) Egg, salt, and topped with green onions in a clear broth. 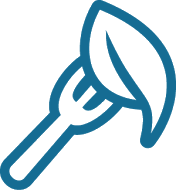 Note: all our dishes are prepared in gluten-containing dishes. Three hand-made wontons that contain ground pork, ginger, green onions, salt and pepper cooked with young Bok Choy in a clear broth. Steamed white rice tossed with salt, pepper, soy sauce, snow peas, mushrooms, egg and green onions. Steamed white rice tossed with salt, pepper, soy sauce, chicken slices, egg and green onions . Steamed white rice tossed with salt, pepper, soy sauce, marinated beef slices, egg and green onions. OR6 - 28 oz. 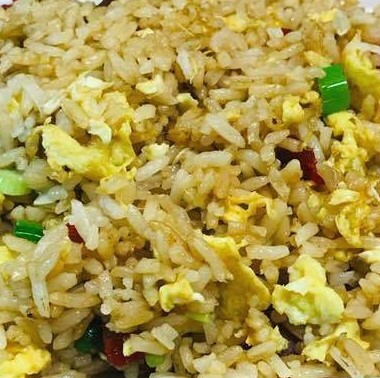 Chinese Style Egg Fried Rice. Steamed white rice tossed with eggs, green onions, salt and pepper (no soy sauce). 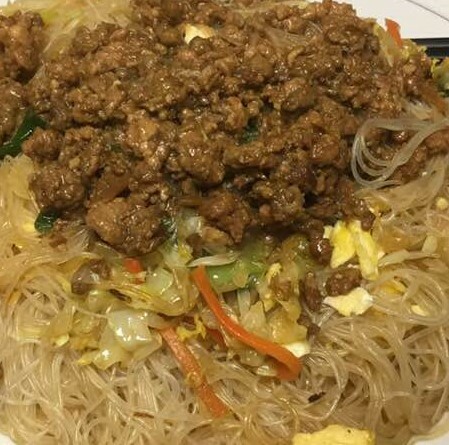 Thin rice noodles, nappa, egg, green onions, soy sauce, dried baby shrimps and shallot, topped with Taiwanese pork sauce and a half Asian braised egg. In-house made wide noodles cooked with Chef’s special Beef Soup. Asian egg noodles cooked with onions, mushroom, snow peas, nappa, and carrots in a peanut containing sauce. Asian egg noodles cooked with nappa, carrots and chicken breast slices in a peanut containing sauce. Asian egg noodles cooked with nappa, carrots and roasted pork slices in a peanut containing sauce. Asian egg noodles cooked with nappa, carrots and beef slices in a peanut containing sauce. 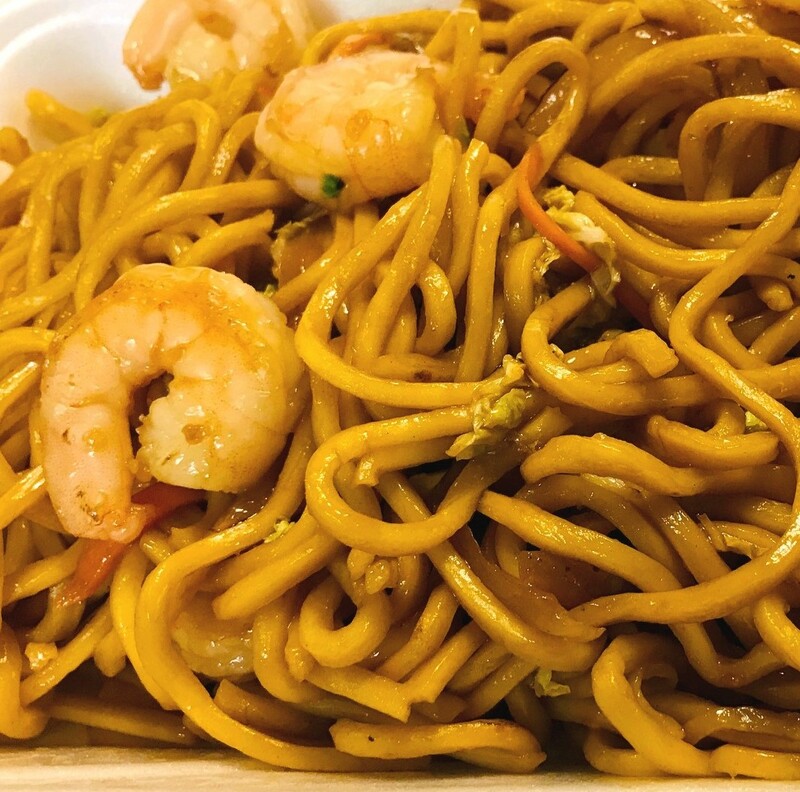 Asian egg noodles cooked with nappa, carrots and shrimp in a peanut containing sauce. 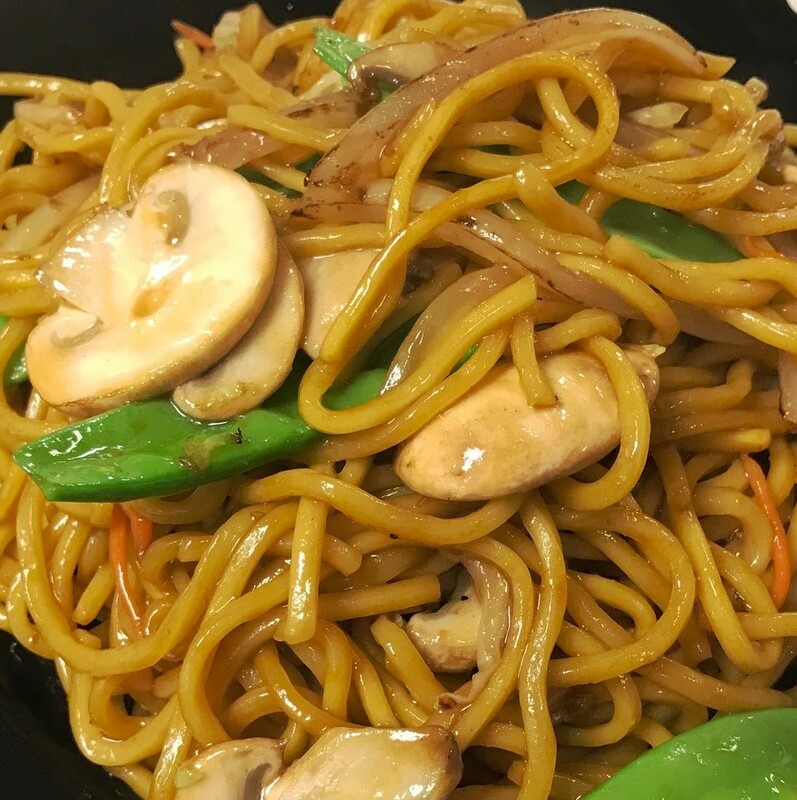 ON8 - Signature Pan Fried Housemade Noodles with Meat Options. 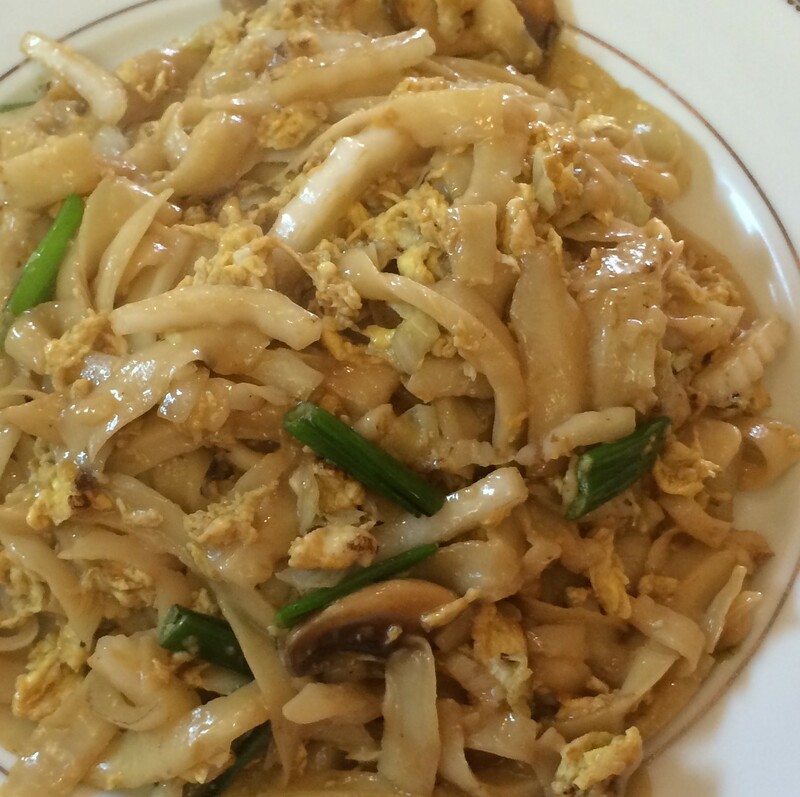 Our popular thin or wide housemade noodles cooked with egg, nappa, and mushrooms. 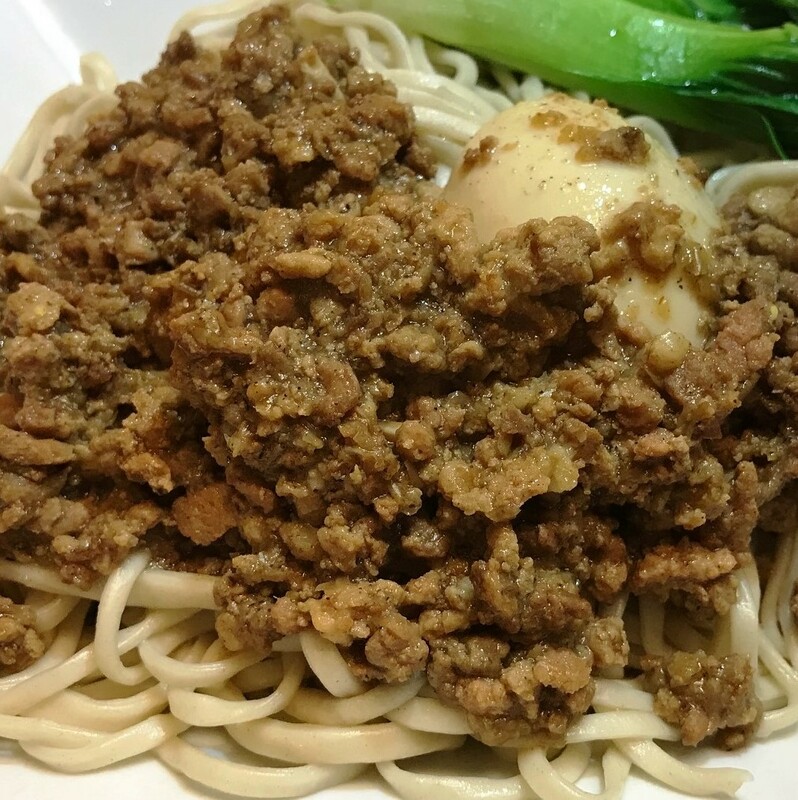 Housemade thin noodles topped with Taiwanese Pork Sauce and a half of braised egg. 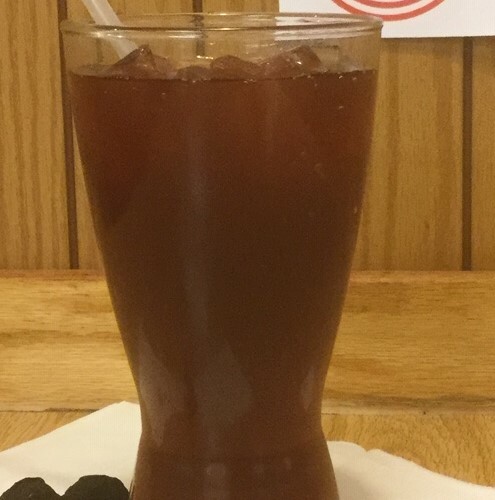 Each order includes egg fried rice or steamed white rice, one side item (two Vegetable Spring Rolls, two Cream Rangoon, or three Almond Cookies) and a drink (Coke, Diet Coke, Sprite, Mountain Dew, Dr. Pepper, bottled water, or Taiwanese Herb Plum Tea, Taiwanese Coffee, Black Tea sweet or unsweetened for an upcharge). 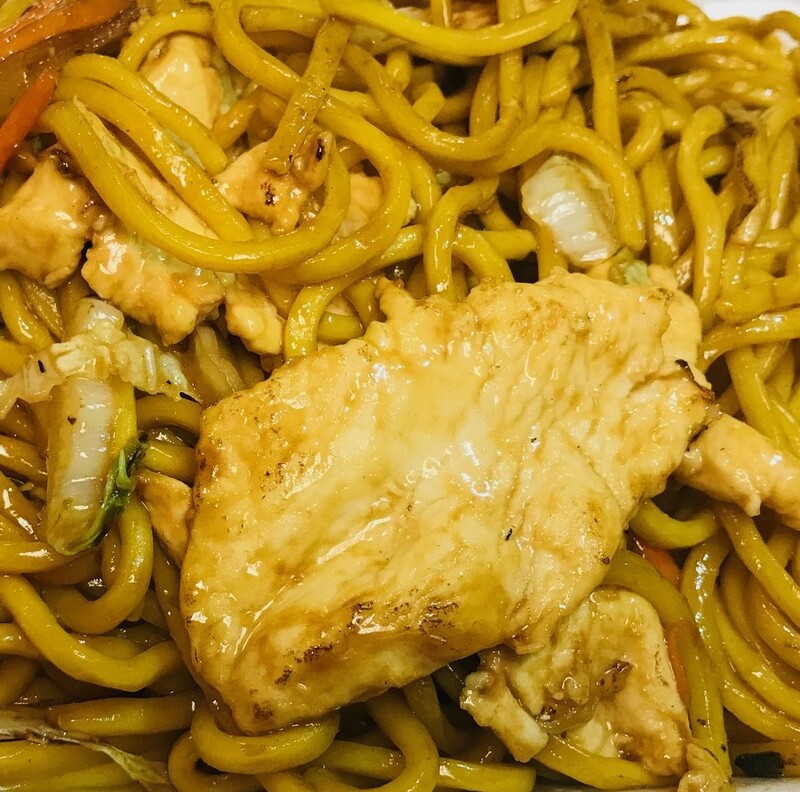 In-house crispy breaded chicken wok-seared with real orange peels in an orange flavored sauce. In-house crispy breaded chicken wok-seared with sweet and tangy sauce and topped with Sesame seeds. In-house breaded chicken breast meat dipped in sweet & sour sauce. Chicken thigh chunks wok-seared with green peas and carrots in black pepper sauce. Chicken thigh chunks wok-seared with green peas, carrots and topped with cashew with sea salt. Medium-sized shrimps wok-seared with green peas, carrots and topped with cashews with sea salt. Shrimp and Mixed vegetables (broccoli, snow peas, carrots, and mushroom) cooked with Sichuan spicy sauce. Chicken thigh chunks wok-seared with celery, dried red pepper, carrots and topped with peanuts. In-house crispy breaded chicken wok-seared with mild spicy General Tso’s Sauce. Each dish served Steamed White Rice. 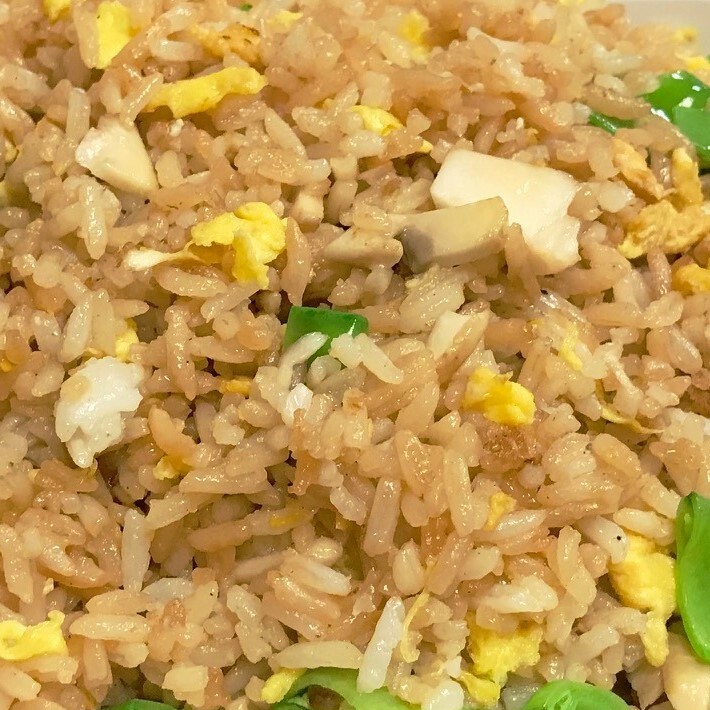 Upgrade to egg fried rice for a extra. Pan-fried firm bean curd stir-fried with sliced beef and green onions. Thin sliced beef cooked with onion and chef's secret seasonings. In-house crispy breaded chicken wok-seared with mild spicy General Tso's Sauce. Deep-fried sliced pork belly stir-fried again with nappa, green and red peppers, dried tofu. 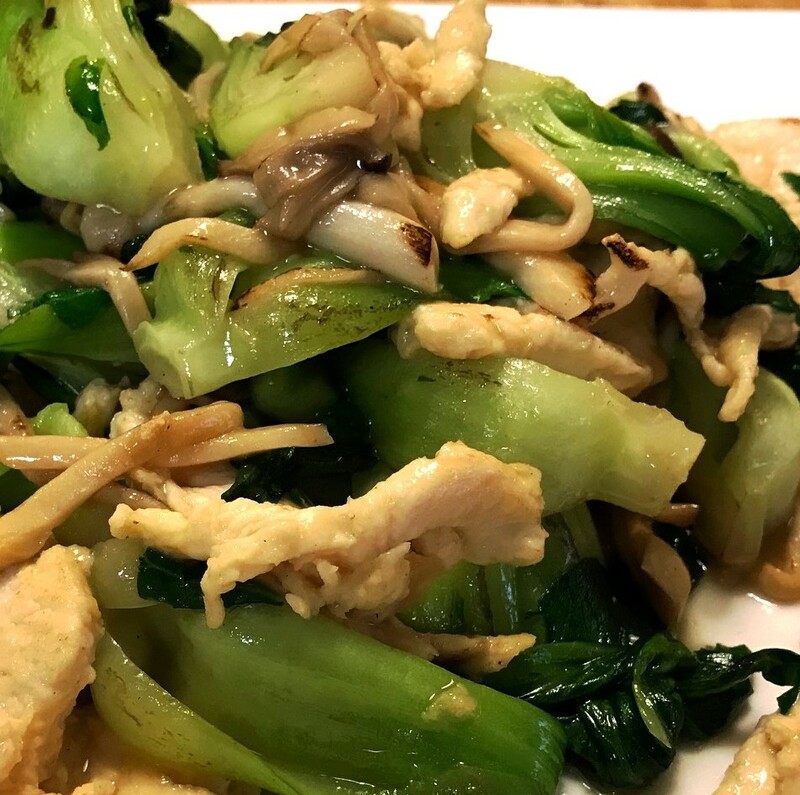 Mixed mushrooms and young Bok Choy sauteed with sliced chicken breast in Chef's Sauteed White Sauce. Note: All our dishes are created in a gluten-containing environment. 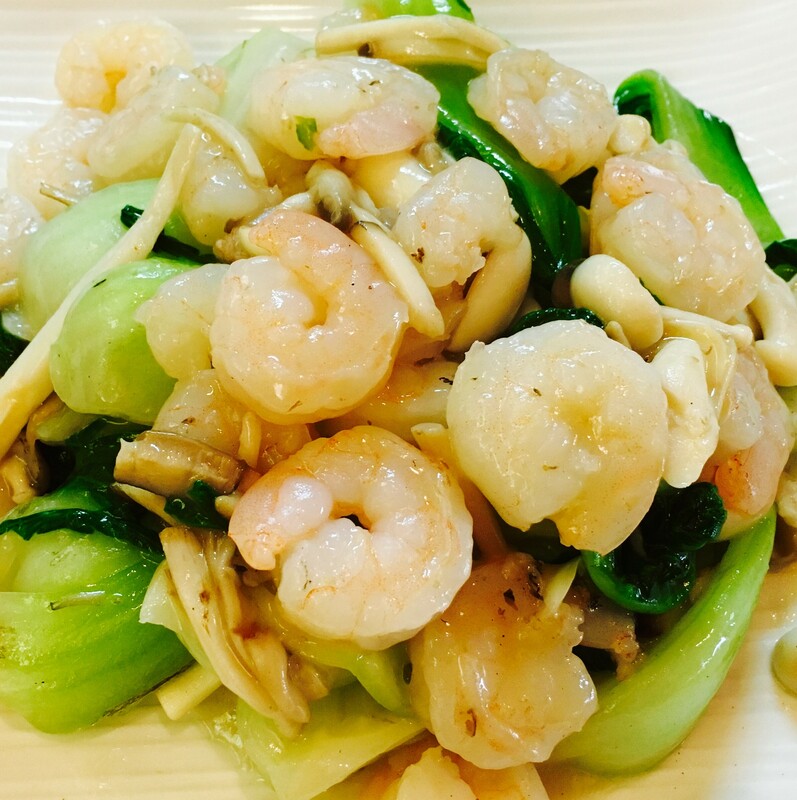 Mixed mushrooms and young Bok Choy sauteed with medium-size shrimps in chef's Sauteed White Sauce. Note: All our dishes are created in a gluten-containing environment. In-house breaded fish fillets cooked with chili pepper, black pepper, ginger, salt and green onions. Note:This dish requires at least 15 minutes to get ready. Fish fillets cooked with Chef’s special Szechuan Bean Sauce that contains sweet ferment rice. Note: This dish required at least 15 minutes to get ready. 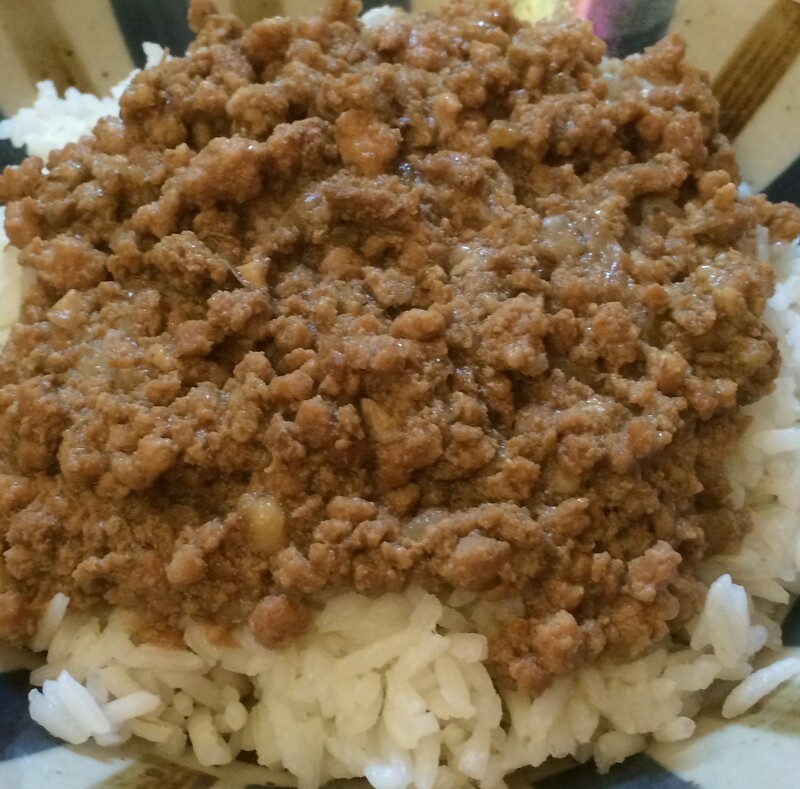 Each dish served with Steamed White Rice. 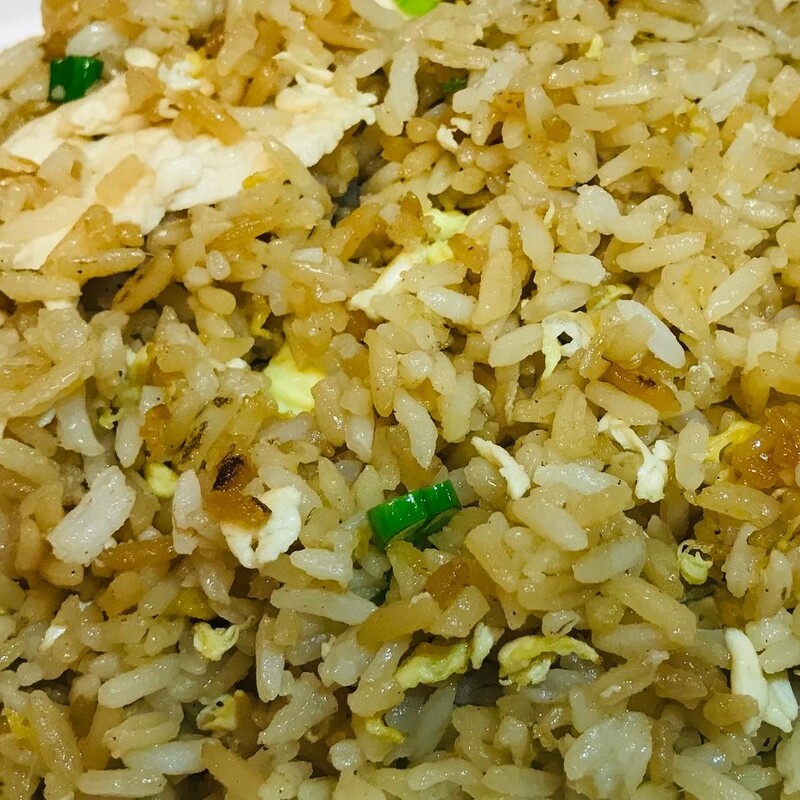 Upgrade to egg fried rice for extra. Pan fried green beans tossed with ginger, fresh garlic, and white pepper. Chopped Chinese light-purple eggplants cooked with Chef's Garlic Sauce. Soft bean curd stir-fry with dried red peppers, Chinese peppercorns, celery, and carrots in Kung Pao Sauce and topped with peanuts. Mixed mushrooms sautéed with young Bok Choy in the Chef’s Sauteed White Sauce. Fried firm tofu wok tossed with Chef General Tso’s sauce sided with steam broccoli. Firm tofu cooked with mixed vegetables in our Sichuan stir fry sauce. Mixed vegetables (please note if there are some vegetables you do not want) wok-tossed with your choice of sauce. 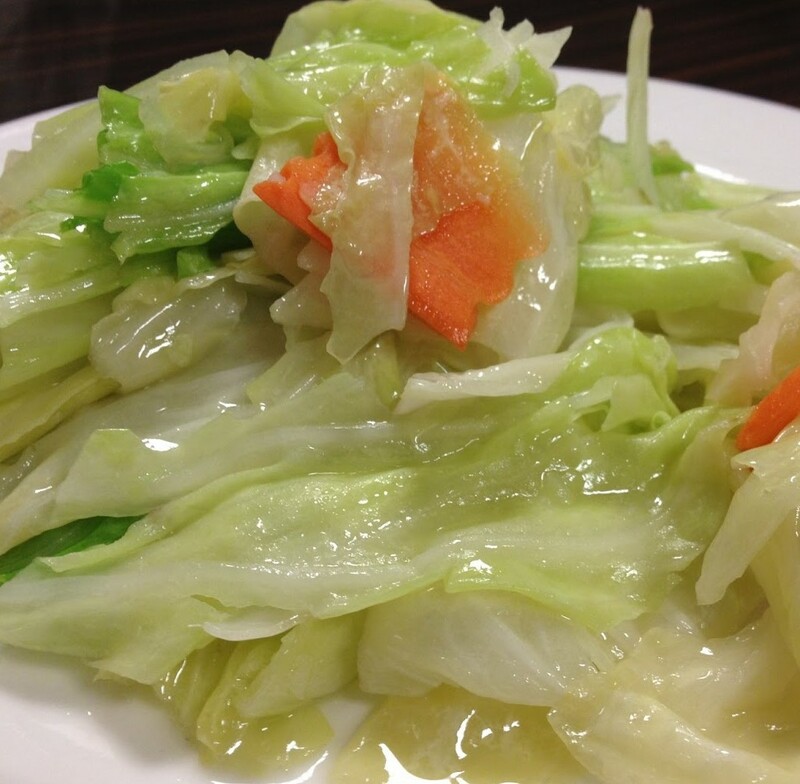 Fresh Taiwanese cabbage with Garlic sautéed in chef white sauce. Sweet milk black tea with Tapioca pearls (Boba Bubbles). Hawthorn fruit, Smoked plum, Roselle, Licorice, with Real Sugar. Vietnamese Black Tea, Sri Lanka Black Tea, Vanilla Powder, and Cassia Seed that creates coffee-like flavor. 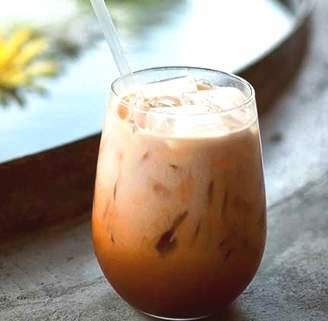 Freshly brewed Thai iced tea with real sugar and evaporated milk . 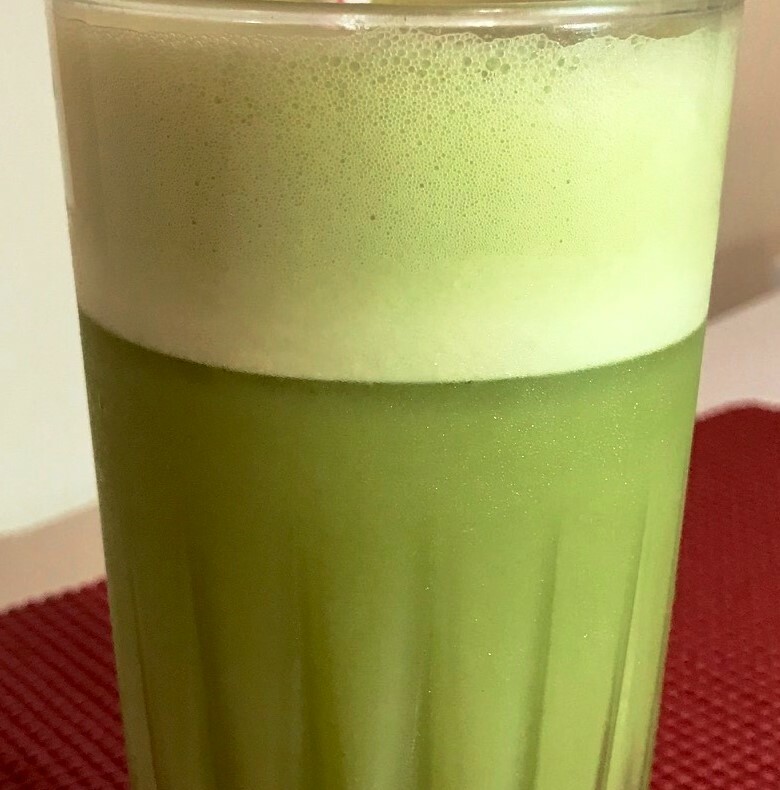 Asian Yukalt (Yogurt drink) mixed with lime soda & Matcha green tea powder. Choose one appetizer option, three entree options. 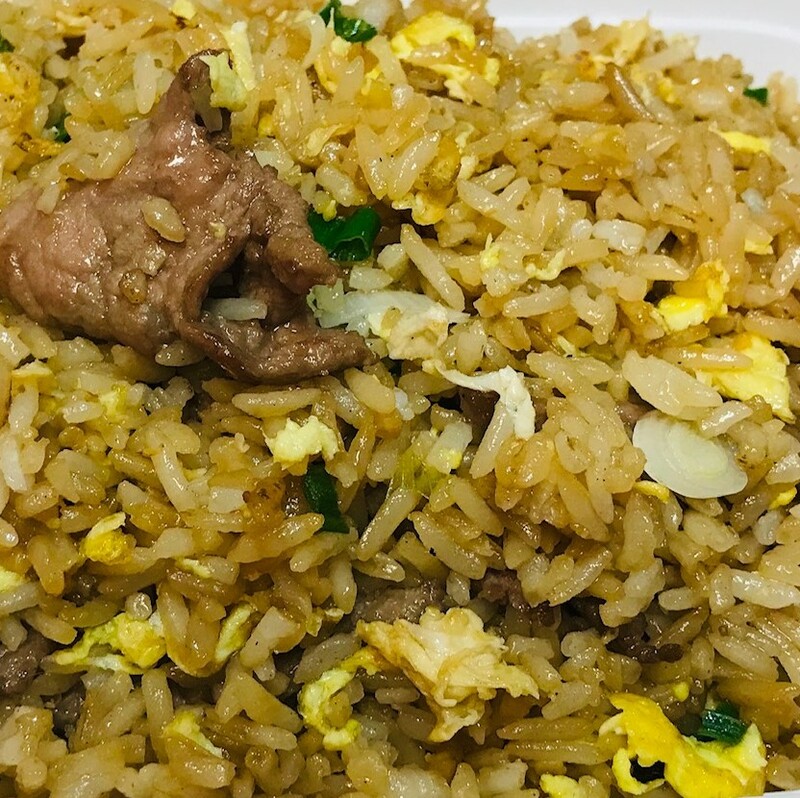 Each order comes with complimentary Steamed Rice or Egg Fried Rice (for an upcharge), FREE 2-liter of soda, and eight Almond Cookies.